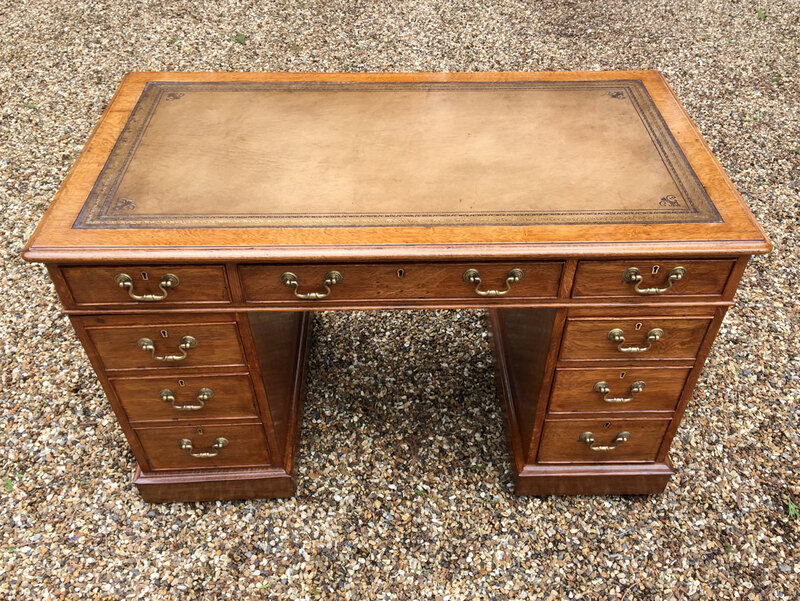 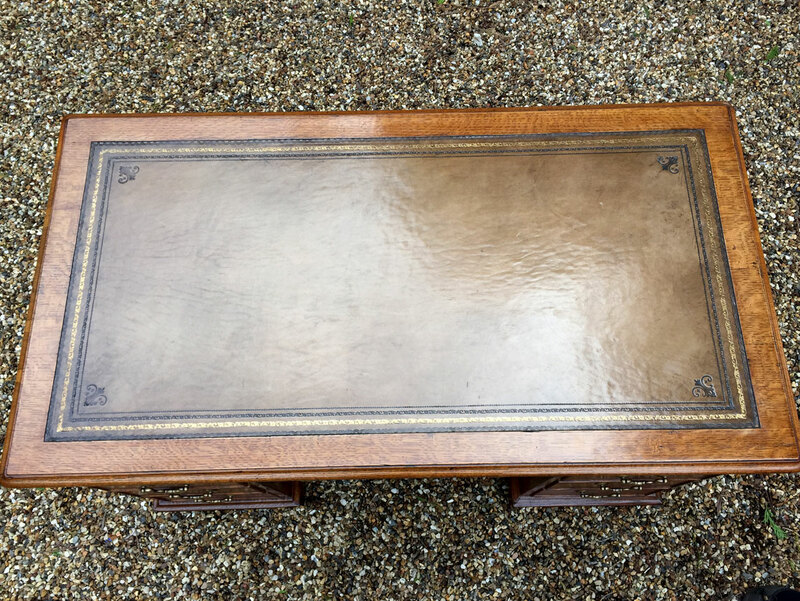 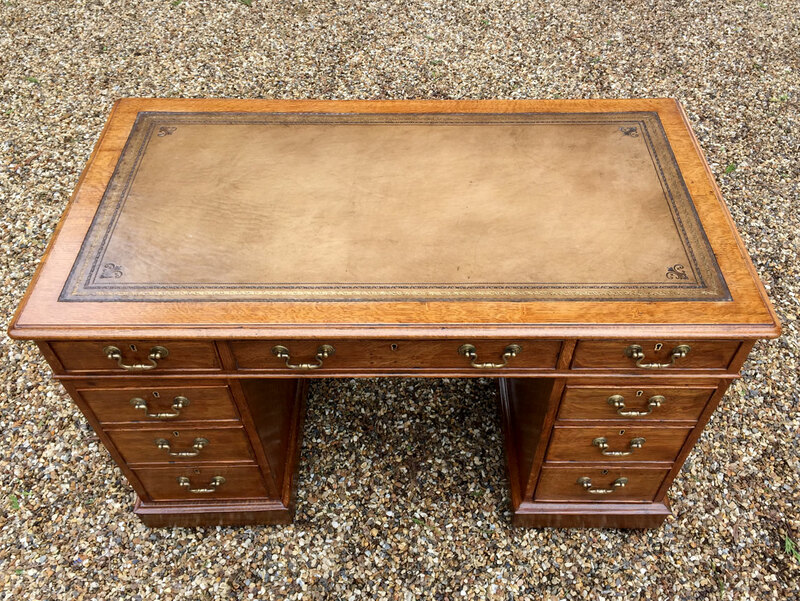 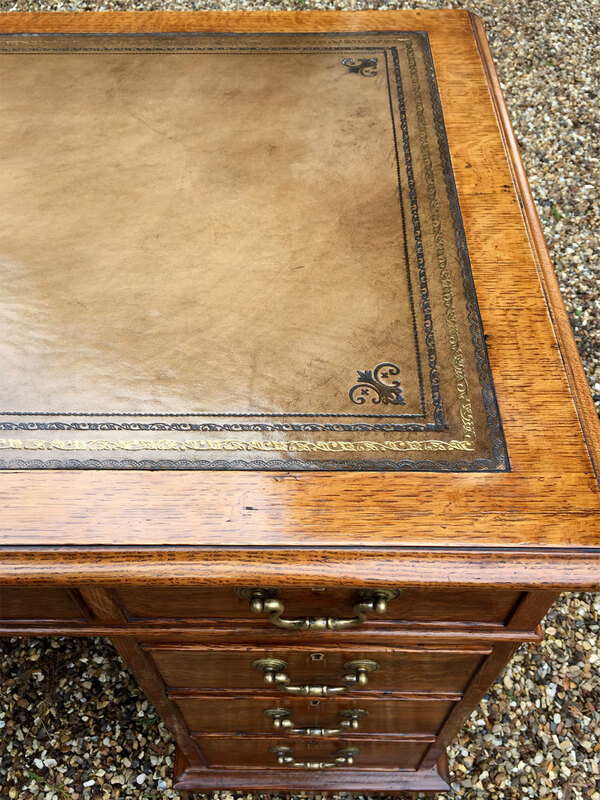 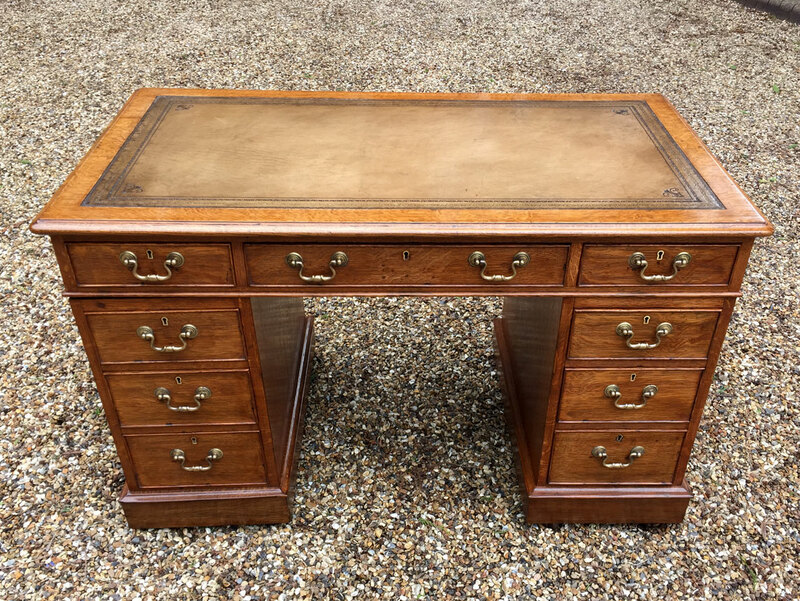 19th Century Victorian Oak Pedestal Desk with solid mahogany drawers and brass swan neck handles. 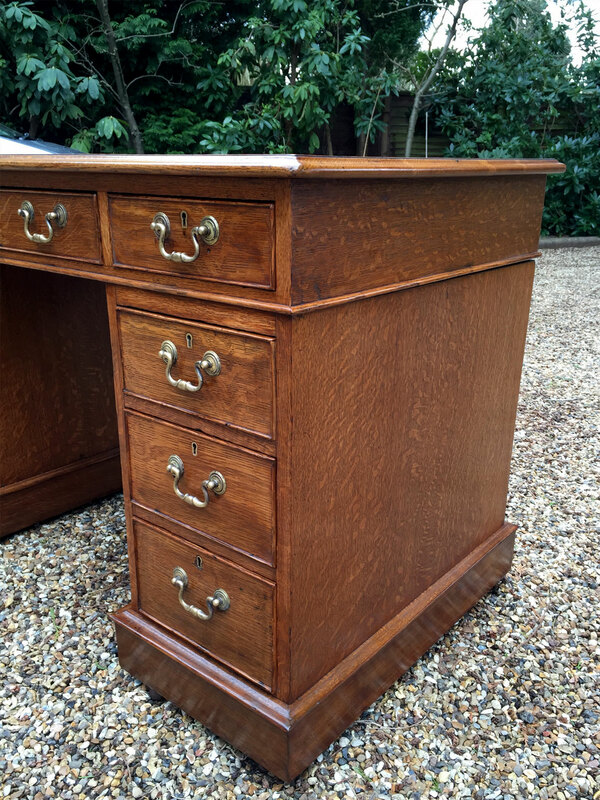 A newly leathered writing surface and original castors to base. 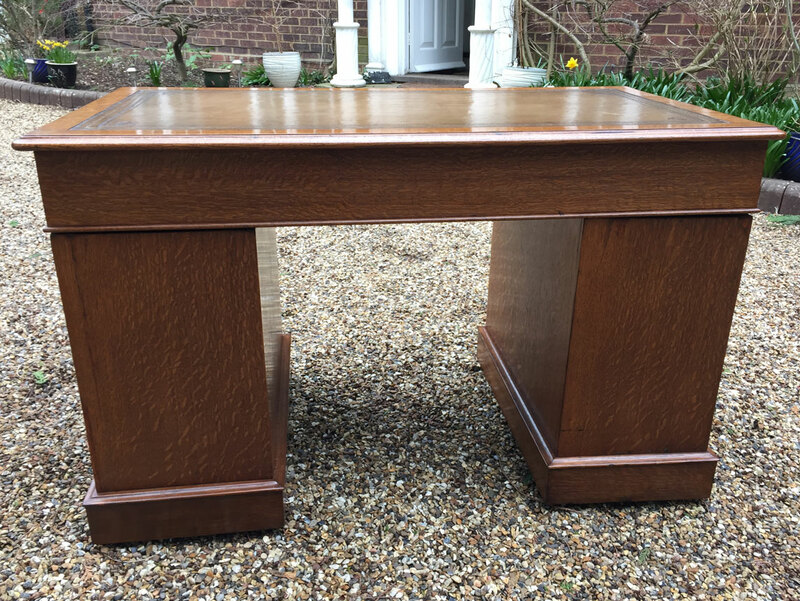 Comes apart in three separate sections.